A highlight of FloorGuard®, a component of BrandGuard®, is minimizing cross-contamination of microorganisms between the floor and product contact surfaces. Everything from employee foot traffic to forklift and pallet jack traffic to improper sanitation techniques can compromise the effectiveness of your food safety program. Our program considers the needed traffic patterns to successfully operate your business without compromising the safety of your products. Within FloorGuard, we use a program called DoorGuard® which is strategically placed to provide an antimicrobial barrier for preventing cross-contamination risk at doorways. 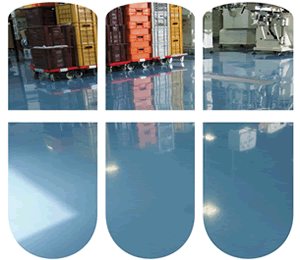 Comprehensive training and education complete the FloorGuard program package.